The band plays Symphonic metal and hás a lot to show. 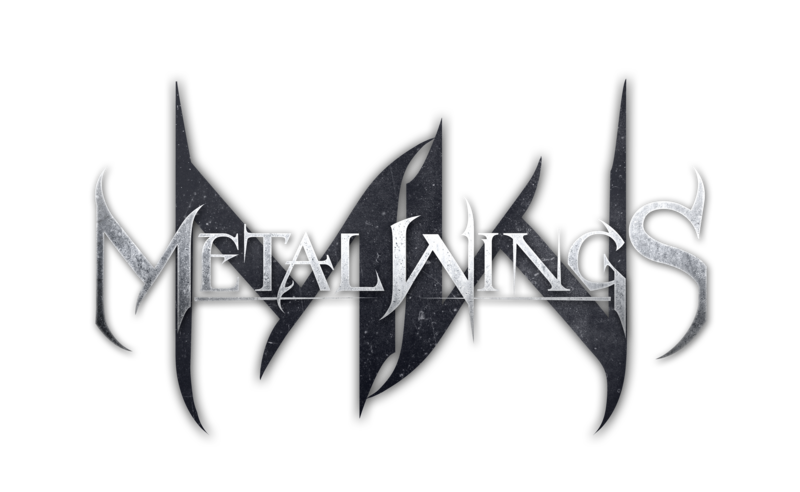 With personality, courage and humbleness, Metalwings trails the path through the scene. With their debut “For All Beyond” the band has earned really good reviews in the metal media. GroundCast: To warm up, could you tell us a bit of the band’s journey so far? Stela Atanasova:Hi and thank you very much for this interview. Our band’s journey so far has been eight years and it was really quite varied and dynamic. On the one hand, 8 years look great, but in fact time is going fast when you have fun. And for me, the band has always been an escape and salvation from reality. We have gone a long way since the beginning, which was quite difficult because the style of symphonic metal is not among the most popular in Bulgaria. It turned out that our song Crying of the Sun has become our ambassador to the world. From this point on, things started to happen to us. Especially because people understood about us, they liked our music and every day we get wonderful messages from all over the world. This reflects our work and efforts. Until this moment, besides the success of our video for Crying of the Sun, we managed to release one EP “Fallen Angel in the Hell”and our debut album“For All Beyond”. We are pleased with what we have been able to do with our own efforts and above all to release a world-class album. GroundCast: In April you released the full-length “For All Beyond”. How was the acceptance of the material in the media? SA: I would say – very good. So far, our album has received many good reviews. In this connection, I would also like to thank to our promoter Markus Eck (MetalMessage), who gave us a lot of confidence. I think the album will still be enjoying media attention and I sincerely hope to be judged worthy of which I have no doubt. GroundCast: The band exists since 2010, but only now you were able to release a full album, could you talk a bit about the production, composition process and why it took eight years to see the daylight? SA: I never wanted to make an album at all costs. It’s important for me to release an album when you have something to say to people, not just to pop the market with the next album, just to boast how many albums we have released. For me quality is the most important thing – not the quantity. It is also very important that when we release an album not to make one great song, while others are just for stuffing. I wanted to make an album in which all the songs to be great – to be hard to decide which one is your favorite. That’s why the release of the album was delayed. Besides, albums have to be released with people who are able to convey the music in the best way. And as you know, we do not suffer from a lack of new members. In my opinion, the album came at the most appropriate time for the band. GroundCast: After 8 years of existence, how do you see the band now, what do you believe that evolved in Metalwings? SA: The thing that evolvedin the band is our conviction that we have to fight and not give up. If, four or five years ago, I thought that if a member of the band went away, that would be a big problem, now I think this is just another opportunity for us to find a better musician and a person for the band. In time I realized that the most important thing is how much you are willing to give in the name of what you believe. As well as in what kind of person you become after you have suffered a defeat or loss. We can all talk about how great we are and what we are ready for in the name of something, but the real people are those who struggle to fall, and especially those who do not betray their faith when it becomes difficult. In our band, we changed the way we take things – we have suffered many blows, betrayal, and surely we will still get many more, but I know that after a heavy storm the sun always rises. And our sun is yet to rise above our band. GroundCast: We live in the internet era and nowadays is not common to buy CDs anymore. Lots of bands complain about the music sharing and how it damages the industry. What is your opinion about it? SA: I think that music belongs to the people. After all – we do the music for them, not to keep it under the bed and to count the cents we have won. I think the music industry can not exist without sharing music. Very often our fans tell us that they have discovered our songs uploaded in different torrents for free to download. I think that if someone has bothered to upload our album there, then our music is looking for, and this is evident from the number of downloads. We may lose some money, but we will win new fans. And who really liked our music and wanted to support us, it could always order our album. Not everything is money in this world. Probably many people will not agree with me, but that’s their opinion. My opinion is that music belongs to the people. That the industry, the Internet, and the laws say you have to buy to have it means that people who want, but can not afford it, have not the right to listen to the music of the bands they love? Does that mean that music belongs only to those who can afford it? I do not accept such claims. I know there must be rules and that, thanks to the sale of albums, the bands exist, as well as the whole music industry behind them, but what’s so bad if someone downloads your album for free? Will you become poorer or less wealthy? I’m pretty sure that the truth is somewhere else. I think there have always been and will be more wealthy people who can afford to support the bands by buying their albums, merchandise, tickets for concerts and so on. There will always be an industry that will win on the back of these bands. But there will always be some people who can not afford to buy your albums but thanks to their true love you exist. A band will not disappear if not all of the fans buy its albums – it will stop exist if forgott about its fans.